Entrepreneurship in Kazakhstan has traditionally been considered a man’s realm; more and more Kazakh women turn to business, however, as a source of income or even sometimes a hobby. According to the latest statistical data, women in Kazakhstan run more than 50 percent of small and medium-sized enterprises (SMEs) and approximately 66 percent of sole traders are women. The current female contribution to the Kazakh GDP is nearly 40 percent, a figure that is expected to increase. McKinsey & Company, a worldwide management consulting firm,estimates if women had equal opportunities to men in running businesses, the global GDP would go up by $28 billion by 2025. 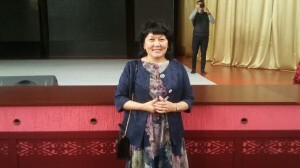 To date, women in Kazakhstan are mostly involved in service provision. Most commonly, they start a business related to daily life and household chores, such as beauty salons, ateliers, groceries, pharmacies and bakeries. One of the most popular reasons for starting a business stems from the desire to realise one’s potential. Strict working hours from 9 a.m.-6 p.m. do not suit Kazakh women who are traditionally required to take care of their families and maintain responsibility for raising children. Flexible hours, however, allow setting aside time for family and household chores and they often opt for self-employment. In the past, few programmes gave preference to women in business who until now have been especially vulnerable to business obstacles. To date, special programmes supporting female entrepreneurshave been created in Kazakhstan to help women start and develop their enterprises. One such example is Women in Business, a programme initiated in 2015 by the Ministry of National Economy and the European Bank for Reconstruction and Development (EBRD). Its main goal is to support and strengthen entities established and led by women by ensuring access to finance and providing advice from consultants. This year, EBRD in Kazakhstan continues to support women-owned businesses by allocating $42 million to local second-tier banks. Separate from bank loans with low interest rates, EBRD also provides grants for consulting services allowing Kazakh businesswomen to receive professional advice on ways to form a strategy, increase market share, build a brand, introduce technology into management and expand activities. The mentorship initiative offers experienced advisors to guide female entrepreneurs. The eligibility criteria for EBRD programmes require running a woman-owned entity for at least two years and employing not more than 250 workers. By contrast, the DAMU microloan programme for female entrepreneurs provides support to those who own more than 50 percent of the business and employ at least 30 percent women. The loans are given to buy new or modernise existing fixed assets or replenish capital. The Atameken National Chamber of Entrepreneurs also meets with female entrepreneurs to offer available support measures focusing more on regions and rural areas. The organisation also tries to involve women who run businesses but are not officially registered as entrepreneurs and do not pay taxes. 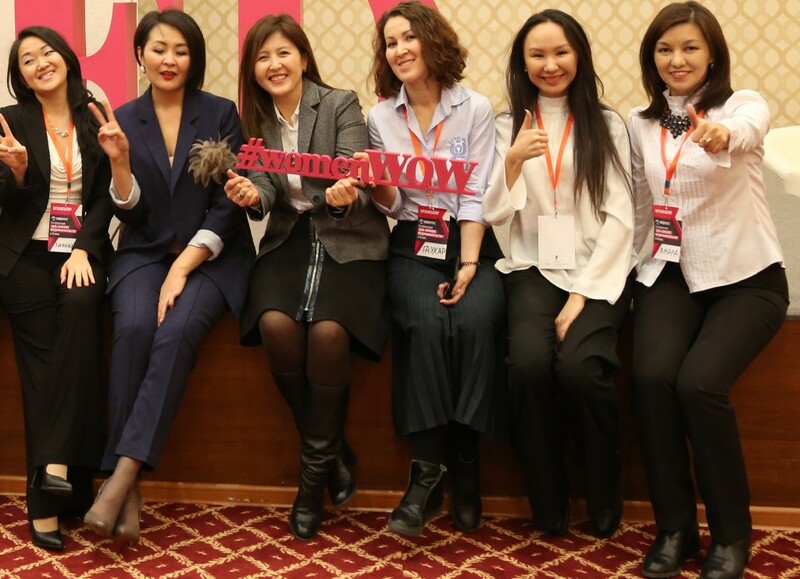 In addition to the financial support provided by the government and financial institutions, the Association of Businesswomen of Kazakhstan unites more than 5,000 female entrepreneurs, enabling them to voice their concerns and share invaluable experience. Although more and more women decide to become entrepreneurs, they still face numerous challenges while starting and then running a business. Some of the obstacles are characteristic only of women and not relevant for their male counterparts. When starting a business, many female entrepreneurs say they have experienced pressure from their close relatives and friends. Traditional gender expectations still widespread among the Kazakh population require a woman to devote herself to her family. While some people believe businesspeople have flexible work schedules and can devote as much time to their personal lives as they wish, businesspeople themselves discover running a business requires more time and devotion. Being an entrepreneur often puts one in the difficult position of striking a proper work-life balance. This is even more problematic for women in business. Kazakh women are no exception. Although time constraints combined with social pressure scare them from doing business, Kazakh women still manage to find the inner strength to start their own enterprises. “I hesitated a lot before starting my own business. At that time, my child was only a year old and my husband was pursuing his own career. However, I was bored at home and thought that I needed to go out and work to distract myself from my daily routine. 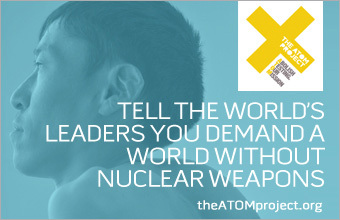 Our close relatives were against that idea since my daughter was small. However, I am grateful to my husband for supporting me. I started with a small online shop and after a couple of months rented space for a shop,” said Kamilla Omarova. “After some time, the shop proved to be profitable and my husband quit his job and decided to join me. Now, we are working together and that’s also great. Of course, I had difficulties initially and worked more than nine hours per day. Now, however, I am more flexible and can devote more time to my family. Our daughter is staying with a nanny while we are working,” she added. daytime and work. My business involved a lot of risk, since at that time exchange rates were unstable and we had to buy imported medicine and then try to sell it. Nevertheless, as people often say ‘if you do not risk, you do not drink champagne,’ so we took a risk and now successfully run several pharmacies,” said Gulya Imanzhanova. A lot of emphasis is put on women in business; even the concept of female entrepreneurship implies there is also male entrepreneurship. This unintentionally compares men and women doing business. Yet such differentiation can be of certain benefit; special measures supporting women in business are provided, although they at times find it insulting. Kazakh women observe that while there are support measures, the rules of business do not differ. They still play according to the same regulations. In addition, men are often taken more seriously and women in business are expected to possess typical male traits – being competitive, pushy and sometimes even aggressive. “I believe a lot of businesses have problems, even minor, related to taxes. I remember when I had a problem of that kind I went to the tax office. Workers there barely spoke with me and were reluctant to help me at all. At the same time, the same workers were approached by a man, who raised his voice and made workers help him. Ultimately, his problem was solved, but mine was not. It took me a couple of days to settle the minor issue. This made me think that a man in business can solve his problems much easier than a female entrepreneur, as he has strength and more weight in our society. Hopefully, things change, but in general, I believe men are regarded as more serious entrepreneurs than women,” said Imanzhanova. “Previously, it was physically hard to run a business. In the 1990s and beginning of the 2000s, I had to go to a wholesale firm selling drugs, make an order, pay and then take the drugs and bring them home. Afterwards, I collected several boxes and paid a driver to take them to the pharmacies. It entailed a lot of physical labor. Now, the logistics are more developed; one can choose goods online and supply firms will send the drugs themselves. I believe now it is easier for a woman to run such a business,” she added. Kazakh women in business also face obstacles such as lack of funds and poor knowledge of running an enterprise. These complications, however, often also cause problems for their male counterparts. Hopefully, more and more efforts are being made to educate both men and women on how to manage a business entity and attain profits. Certain programmes are available to help businesspeople fund their enterprises. The outer barriers, such as financing and knowledge, are second in terms of importance to the inner barriers Kazakh women need to overcome. In times of difficulty, they also need to remind themselves that their unique traits, such as intuition, excellent communication and networking skills and the experience of other female entrepreneurs, will guide them on their path to success.